Vitamin D is classified as a vitamin, but it really acts more like a hormone in our body. It is required for a number of essential processes including proper sleep, immune function, bone health, mood, and more. Since it acts like a hormone, we should treat it like a hormone. This means testing blood levels to determine the proper dosage, rather than recommending the same dose for every person. We offer two options for testing. 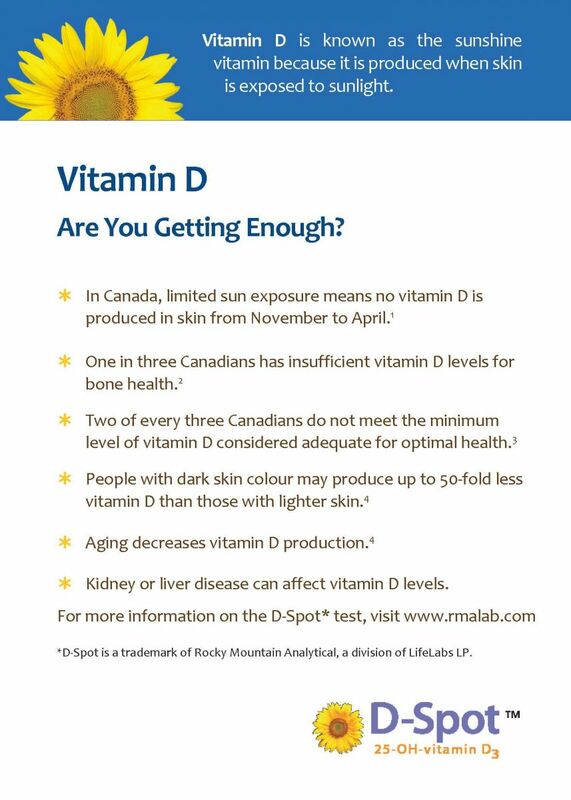 Dr. Phillips can sign a requisition form to have Vitamin D tested at Lifelabs, or we offer finger-prick D-Spot testing kits through Rocky Mountain Analytical. Typically you should have a baseline test done, and then a certain Vitamin D supplement dose for one month, at which point you re-test. This allows us to determine the precise dosage of Vitamin D to bring you levels into the optimal range.